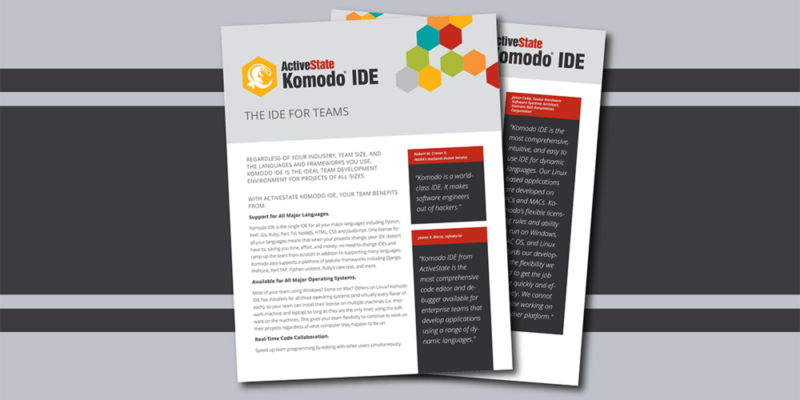 ActiveState's OEM Edition provides organizations with royalty-free distribution rights to embed open source languages in their products. This saves you time, resources and the headaches that accompany managing license compliance on your own. Building microservices in Go maximizes application scalability and performance while minimizing development costs. 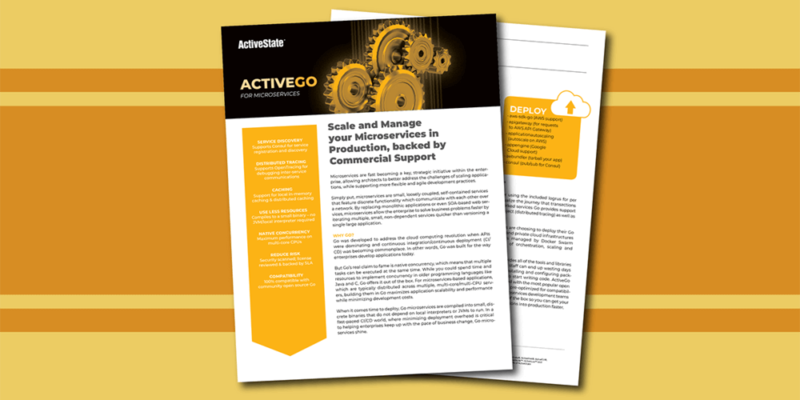 ActiveGo includes all the tools for building, scaling and managing microservices so you can get your applications to market faster. Go has quickly become one of today's top programming languages, but enterprises are still concerned about open source license compliance, security and support. 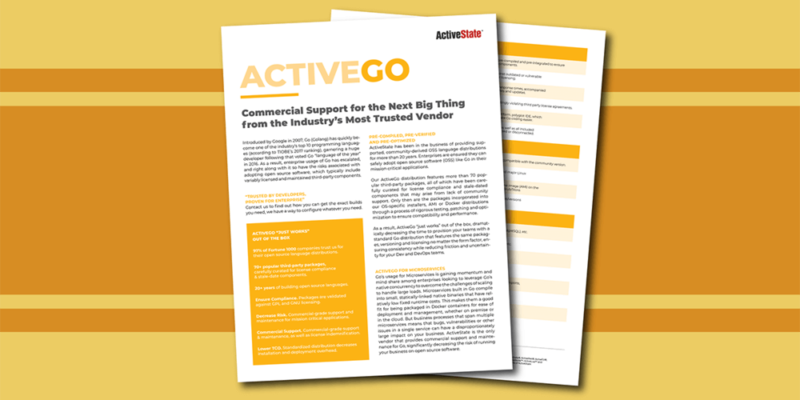 ActiveGo makes it easy to adopt Go with a standardized, pre-verified and supported Go distribution. Python has emerged as a key productizing tool for machine learning. 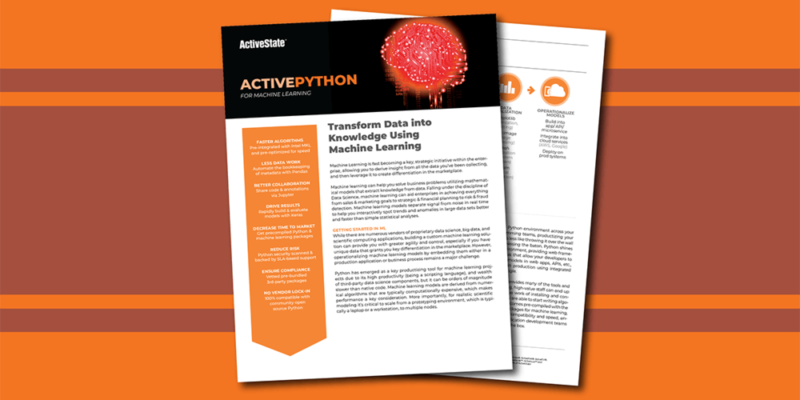 ActivePython provides all the packages for data science and machine learning, and is also pre-optimized for computational performance to ensure productivity right out of the box. 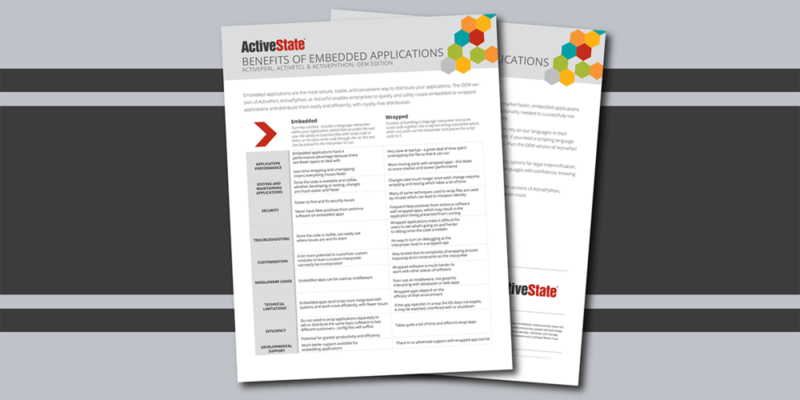 Python is one of the top 10 programming languages, but enterprises are challenged with variably licensed and maintained third-party components. 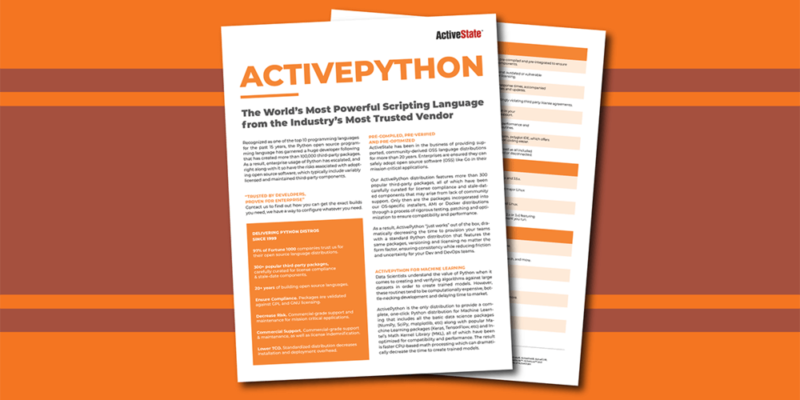 ActivePython provides a standardized Python distribution to ensure license compliance, security, compatibility and performance. 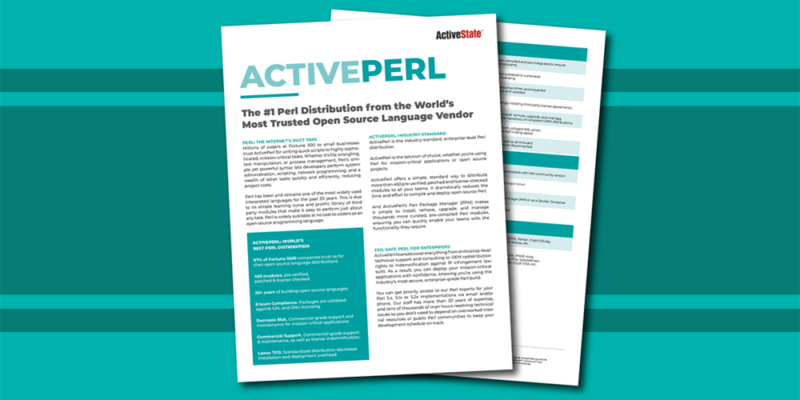 ActivePerl is the industry-standard, enterprise-level Perl distribution, offering a simple, standard way to distribute more than 4,500 pre-verified, patched and license-checked modules to all your teams. 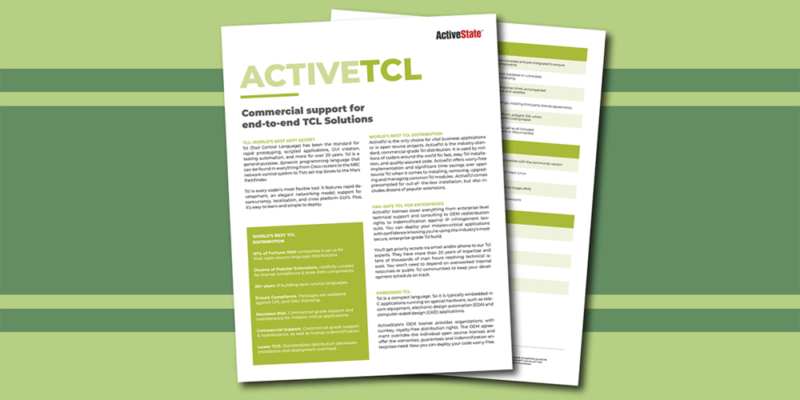 ActiveTcl is the industry-standard, enterprise-level Tcl distribution, offering worry-free implementation and significant time savings for installing, removing, upgrading and managing common Tcl modules.